I have been staying at my mom’s house in Laguna Beach for the last week. 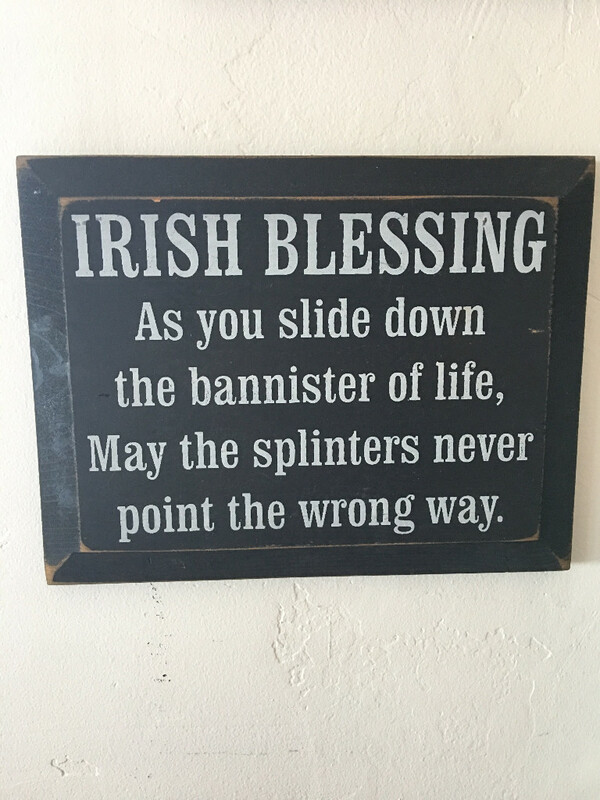 I am surrounded by many things from my childhood (like this Irish blessing sign with the glaring typo) and the life my parents have created since she moved here in 2002. Being here always creates opportunity for me to take a deep breath and tap deeply into my intuition. Since arriving here last week, I have been visualizing the life I want to live in the next 12 months. My word for 2018 is PLEASURE and the next year is going to be full of all the things that bring me happy satisfaction & enjoyment. What is your word for 2018? Jump on over to my Facebook page and let me know! Each year in winter that which does not serve me dies so that I can expand my wings and fly even higher than the year before. I posted about how my Phoenix on my back reminds me to stay true to that shifting change over on my Instagram page! Check it out. I have a book coming out next spring about careers in social justice advocacy and I am writing another one about women’s access to contraception and abortion in rural California. I am coaching clients, building communities through my Fanning the Flames training, and speaking at rallies and conferences. Do you have a special event coming up that you need a speaker for? Do you want to bring Fanning the Flames to your community? Send me an email and let’s talk! What will you do in 2018 to change your community? Are you seeking support and training to resist, persist, and insist on a better nation? That is why I developed my Unleashing Your Voice coaching program. Let’s unleash your audacious, brave voice together. I have a few spots left for 2018. Send me an email and let’s get started today! Thank you for being a part of the Bird Girl Army! Start some mayhem, raise some hell in 2018!